With cutbacks in public spending across the board it isn't surprising that one of the most neglected areas is the treatment of those with chronic drug problems, particularly speed or ice as it is now more commonly known. With facilities in the public health system stretched beyond the need it comes down to supply and demand which ensures that those who cannot find help in the public health care system are left to take their chances with a private system which offers a range of private detox facilities which are largely de-regulated and grossly expensive. 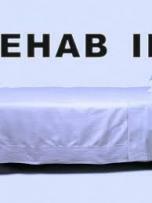 I just saw a program on ABC's Four Corners 'Rehab Inc.' which provides a valuable insight into what often appears to be cynical exploitation of the grief and desperation suffered by the parents of the young who are caught in a lifestyle centered around this pervasive drug of abuse. An area it seems where former drug addicts and dealers can find a secure life.